Anti-virus software should always be installed on your computer to combat the threat of viruses and other types of malware. There are many manufacturers of anti-virus software including BullGuard, BitDefender, F-Prot, McAfee. Some, such as Avast!, even supply a free version of their anti-virus software, while others, such as Bitdefender, offer a free online virus scan. Regardless of the supplier you choose, anti-virus software should be the first item installed on your computer after the operating system. Many modern anti-virus products also guard against Rootkits, Spyware and other threats. 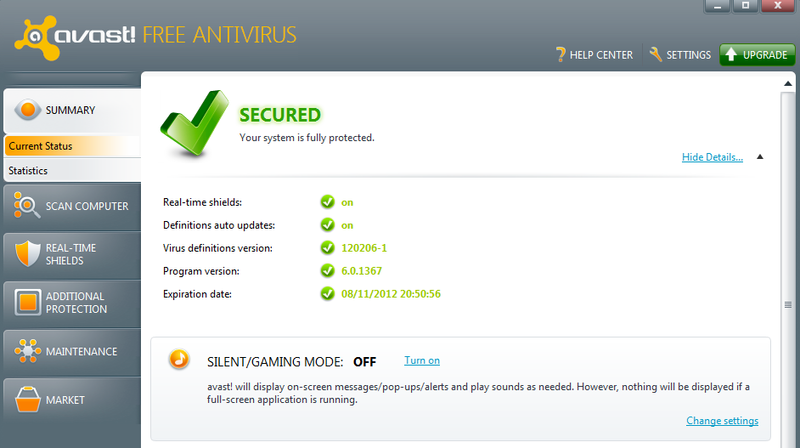 Anti-virus software works in two modes: stand-alone and memory resident. In stand-alone mode the software works like any other program. You start it and point it at a file, directory or disk to check the files for viruses. The actions that are available depend on the type of infection. In memory-resident mode the anti-virus software stays running on your system at all times. Whenever a file is used the software will check it for viruses. As well as checking files, most anti-virus software will also check e-mails and web pages.